Whether you need to complete your set or are looking to spruce up your worn out bumper balls, this premium quality and economically priced Replacement Bumper Pool Ball will have your game up and running right away! If your set is missing a ball you need a Replacement Bumper Pool Ball. This will complete your set and ensure that the game can be played properly. 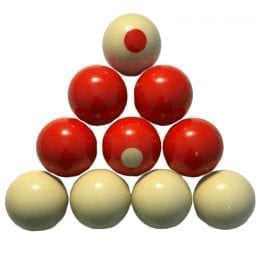 A full set should include 10 balls total. This is made up of 4 white balls, 4 red balls, 1 white “marked” ball, and 1 red “marked” ball. This Bumper Pool Ball is regulation size 2-1/8″ diameter and weighs 5oz. If you are in need of more than one Replacement Bumper Pool Ball, it may be best to check out our great price on a whole set! 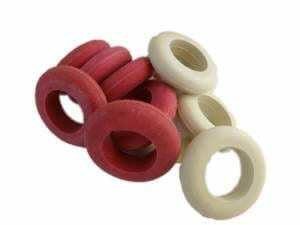 For a complete revamp of your bumper pool table, consider changing out the bumper rings and hole liners on your table.